Giving birth to your child is one of the happiest moments in a woman’s life. Her little bundle of joy finally arrives after waiting for months. However, along with the joys of motherhood comes the responsibility of having to lose all those extra pounds and get back your body into shape and that too at the earliest. If you to have just delivered a baby and wish to know which postnatal exercises would be best for your body without harming it in any way, you can refer to these 6 best postnatal exercises to be done soon after childbirth. 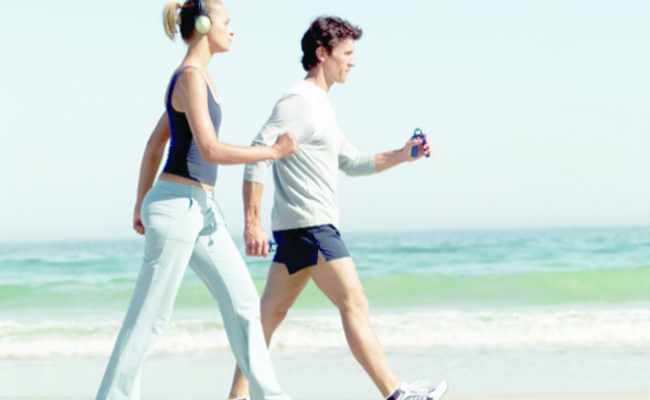 Brisk walking is one of the best postnatal exercises for your body after having delivered your baby. You can start brisk walking 6 to 8 weeks after normal child birth and 10 weeks after a cesarean and do it every day without any problem.Brisk walk for 30 to 40 minutes every day but ensure that you do not walk fast or run at all. This could lead to complications as your body is not yet ready for such strenuous exercises. Aerobics have been long known to be a woman’s best friend as it helps her lose weight and inches quickly and gives her a well-toned body. 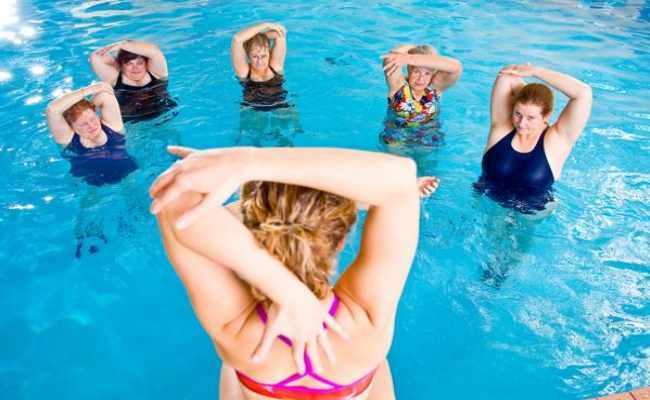 However, aqua aerobics help you to lose weight even faster and it is much easier to exercise in water than outside it.You should enroll for classes that specialize in aqua exercises during the postnatal period so that you can get the maximum benefits out of the exercise. Another great postnatal exercise which can be of great help in getting in shape quickly is that of swimming. This exercise should be done once your post-pregnancy bleeding has stopped completely and you have started your regular cycle of menstruation.Swimming exercises all your muscles and makes it stronger and firm than before. Regular swimming for 30 to 45 minutes can work wonders in helping you lose that extra weight and get back to your normal self again. Yet another great exercise is cycling. You can cycle a stationary bike if you do not know how to cycle or use an actual cycle for the same purpose.Cycling in the park or lawn can prove to be great for your health as it helps you to lose those extra inches and exposes you to fresh air every day which is extremely beneficial for your little baby as you breast-feed him or her. Yoga is a great form of exercises which not only helps you get back in shape but also relaxes the mind and soul and helps you to handle all the stress related to motherhood and parenting.Practice yoga under the guidance of an experienced yoga teacher as he will be able to guide you as to which exercises will best suit your current condition and help you lose weight without harming your body. Simple aerobic exercises which have a low impact on your body and do not cause a lot of strain can be a great postnatal exercise for you.However, you should inform your instructor about having delivered a child before you start with the classes as this will help her get an understanding as to which exercises would be good for you and which wouldn’t be.